SrIperumbUthUr – emperumAnAr thirunakshathra mahOthsavam day 6 (yesterday) – http://sriperumbuthur.blogspot.com/2016/05/may-2016-week-1.html. SrI rAmAnuja dharsanam – e-magazine – May/chithrai – English Issue recently released and can be viewed at http://www.varavaramuni.com/home/sriramanuja-dharsanam-magazine/english . dhivya prabandham – thiruvAimozhi 2.7.8 – vAmanan – http://divyaprabandham.koyil.org/index.php/2016/05/thiruvaimozhi-2-7-8-vamanan/ – English translation. Full series can be viewed at http://divyaprabandham.koyil.org/index.php/thiruvaimozhi/ . SrIperumbUthUr – emperumAnAr thirunakshathra mahOthsavam day 5 (yesterday) – http://sriperumbuthur.blogspot.com/2016/05/may-2016-week-1.html. dhivya prabandham – thiruvAimozhi 2.7.7 – thirivikkiraman – http://divyaprabandham.koyil.org/index.php/2016/05/thiruvaimozhi-2-7-7-thirivikkiraman/ – English translation. Full series can be viewed at http://divyaprabandham.koyil.org/index.php/thiruvaimozhi/ . 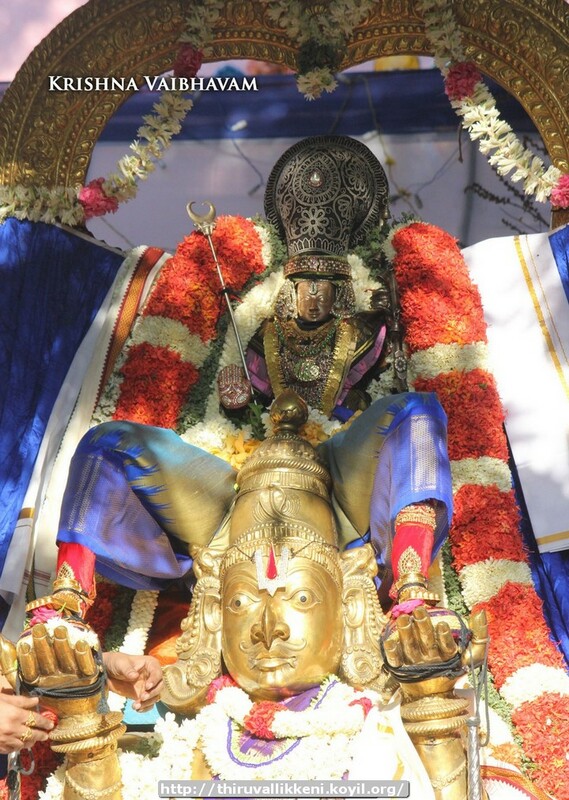 SrIperumbUthUr – emperumAnAr thirunakshathra mahOthsavam day 4 (yesterday) – http://sriperumbuthur.blogspot.com/2016/05/may-2016-week-1.html. dhivya prabandham – thiruvAimozhi 2.7.6 – madhusUdhanai anRi – http://divyaprabandham.koyil.org/index.php/2016/05/thiruvaimozhi-2-7-6-madhusudhanai-anri/ – English translation. Full series can be viewed at http://divyaprabandham.koyil.org/index.php/thiruvaimozhi/ . SrIperumbUthUr – emperumAnAr thirunakshathra mahOthsavam day 3 (yesterday) – http://sriperumbuthur.blogspot.com/2016/05/may-2016-week-1.html. dhivya prabandham – thiruvAimozhi 2.7.5 – vittilangu – http://divyaprabandham.koyil.org/index.php/2016/05/thiruvaimozhi-2-7-5-vittilangu/ – English translation. Full series can be viewed at http://divyaprabandham.koyil.org/index.php/thiruvaimozhi/ . SrIperumbUthUr – emperumAnAr thirunakshathra mahOthsavam day 2 (yesterday) – http://sriperumbuthur.blogspot.com/2016/05/may-2016-week-1.html. SrIvaishNava granthams – Simple Guide to SrIvaishNavam – artha panchakam – https://srivaishnavagranthamstamil.wordpress.com/2016/05/02/simple-guide-to-srivaishnavam-artha-panchakam/ based on http://ponnadi.blogspot.com/2015/12/artha-panchakam.html – thamizh translation by sadagopan swamy. Full series can be viewed at https://srivaishnavagranthamstamil.wordpress.com/simple-guide-to-srivaishnavam/. SrIperumbUthUr – brahmOthsavam day 10, emperumAnAr thirunakshathra mahOthsavam day 1 (yesterday) – http://sriperumbuthur.blogspot.com/2016/05/may-2016-week-1.html. 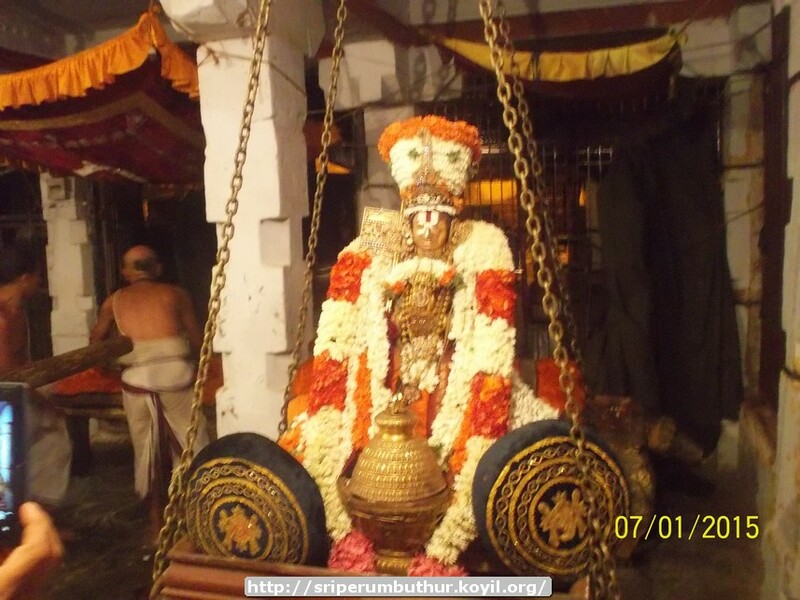 thiruvallikkENi – brahmOthsavam day 9 (day before yesterday) – http://thiruvallikkeni.koyil.org/?p=540. SrIvaishNava granthams – Simple Guide to SrIvaishNavam – rahasya thrayam – https://srivaishnavagranthamshindi.wordpress.com/2016/05/01/simple-guide-to-srivaishnavam-rahasya-thrayam/ based on http://ponnadi.blogspot.in/2015/12/rahasya-thrayam.html – Hindi translation by bhagavathi ammangar. Full series can be viewed at https://srivaishnavagranthamshindi.wordpress.com/simple-guide-to-srivaishnavam/ . dhivya prabandham – thiruvAimozhi 2.7.4 – gOvindhan – http://divyaprabandham.koyil.org/index.php/2016/05/thiruvaimozhi-2-7-4-govindhan/ – English translation. Full series can be viewed at http://divyaprabandham.koyil.org/index.php/thiruvaimozhi/ . 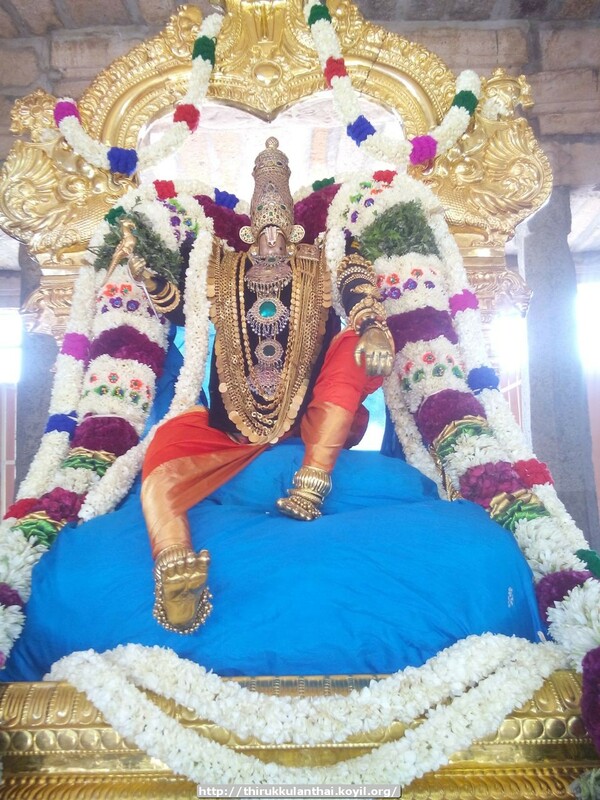 SrIperumbUthUr – brahmOthsavam day 9 (yesterday) – http://sriperumbuthur.blogspot.com/2016/04/april-2016-week-5.html. SrIvaishNava granthams – Simple Guide to SrIvaishNavam – dhivya prabandham and dhivya dhESams – https://srivaishnavagranthamshindi.wordpress.com/2016/04/30/simple-guide-to-srivaishnavam-dhivya-prabandham-dhesam/ based on http://ponnadi.blogspot.in/2015/12/simple-guide-to-srivaishnavam-dhivya-prabandham-dhesam.html – Hindi translation by kArthik swamy and bhagavathi ammangar. Full series can be viewed at https://srivaishnavagranthamshindi.wordpress.com/simple-guide-to-srivaishnavam/ . dhivya prabandham – thiruvAimozhi 2.7.3 – mAdhavan – http://divyaprabandham.koyil.org/index.php/2016/04/thiruvaimozhi-2-7-3-madhavan/ – English translation. Full series can be viewed at http://divyaprabandham.koyil.org/index.php/thiruvaimozhi/ . This entry was posted in Uncategorized on April 30, 2016 by Sarathy Thothathri. janma dhinam today – thiruvONam (sravaNam) – lOkArya muni (piLLai lOkam jIyar) – http://acharyas.koyil.org/index.php/pillai-lokam-jiyar/. 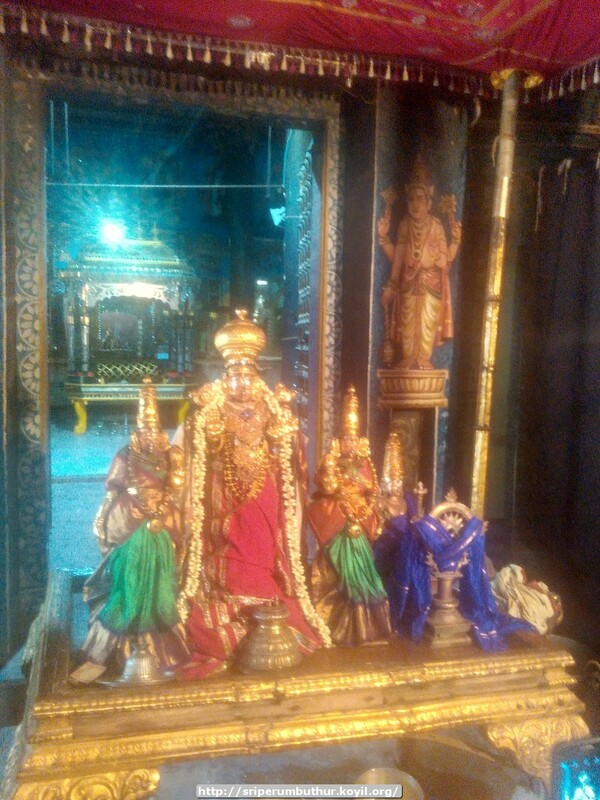 SrIperumbUthUr – brahmOthsavam day 8 (yesterday) – http://sriperumbuthur.blogspot.com/2016/04/april-2016-week-5.html. thiruvallikkENi – brahmOthsavam day 8 (yesterday) – http://thiruvallikkeni.koyil.org/?p=540. SrIvaishNava granthams – Simple Guide to SrIvaishNavam – thathva thrayam – https://srivaishnavagranthamstamil.wordpress.com/2016/04/29/simple-guide-to-srivaishnavam-thathva-thrayam-in-short/ based on http://ponnadi.blogspot.in/2015/12/thathva-thrayam-in-short.html – thamizh translation by sadagopan swamy. Full series can be viewed at https://srivaishnavagranthamstamil.wordpress.com/simple-guide-to-srivaishnavam/. dhivya prabandham – rAmAnusa nURRanthAdhi pAsuram 22 – http://divyaprabandham.koyil.org/index.php/2016/04/ramanusa-nurranthadhi-22/ – English translation by raghurAm swamy. Full series can be viewed at http://divyaprabandham.koyil.org/index.php/2015/07/ramanusa-nurranthadhi/ . SrIperumbUthUr – brahmOthsavam day 7 (yesterday) – http://sriperumbuthur.blogspot.com/2016/04/april-2016-week-5.html. SrIvaishNava granthams – Simple Guide to SrIvaishNavam – rahasya thrayam – https://srivaishnavagranthamstamil.wordpress.com/2016/04/28/simple-guide-to-srivaishnavam-rahasya-thrayam/ based on http://ponnadi.blogspot.in/2015/12/rahasya-thrayam.html – thamizh translation by sadagopan swamy. Full series can be viewed at https://srivaishnavagranthamstamil.wordpress.com/simple-guide-to-srivaishnavam/. dhivya prabandham – thiruvAimozhi 2.7.2 – nAraNan – http://divyaprabandham.koyil.org/index.php/2016/04/thiruvaimozhi-2-7-2-naranan/ – English translation. Full series can be viewed at http://divyaprabandham.koyil.org/index.php/thiruvaimozhi/ . SrIperumbUthUr – brahmOthsavam day 6 (yesterday) – http://sriperumbuthur.blogspot.com/2016/04/april-2016-week-5.html. dhivya prabandham – thiruvAimozhi 2.7.1 – kESavan thamar – http://divyaprabandham.koyil.org/index.php/2016/04/thiruvaimozhi-2-7-1-kesavan-thamar/ – English translation. Full series can be viewed at http://divyaprabandham.koyil.org/index.php/thiruvaimozhi/ . SrIperumbUthUr – brahmOthsavam day 5 (yesterday) – http://sriperumbuthur.blogspot.com/2016/04/april-2016-week-5.html. SrI rAmAnuja dharsanam – e-magazine – January/mArgaSIsha – hindi Issue recently released and can be viewed at http://www.varavaramuni.com/home/sriramanuja-dharsanam-magazine/hindi . SrIvaishNava granthams – Simple Guide to SrIvaishNavam – dhivya prabandham and dhivya dhESams – https://srivaishnavagranthamstamil.wordpress.com/2016/04/26/simple-guide-to-srivaishnavam-dhivya-prabandham-dhesam/ based on http://ponnadi.blogspot.com/2015/12/simple-guide-to-srivaishnavam-dhivya-prabandham-dhesam.html – thamizh translation by sadagopan swamy. Full series can be viewed at https://srivaishnavagranthamstamil.wordpress.com/simple-guide-to-srivaishnavam/. dhivya prabandham – SrIvaikuNta gadhyam 6th chUrNai – http://divyaprabandham.koyil.org/index.php/2016/04/srivaikunta-gadhyam-6/ – English translation by T N krishNan swamy. Full series available at http://divyaprabandham.koyil.org/index.php/2016/03/srivaikunta-gadhyam/. With this SrIvaikuNta gadhyam and gadhya thrayam English translation are completed. SrIperumbUthUr – brahmOthsavam day 4 (yesterday) – http://sriperumbuthur.blogspot.com/2016/04/april-2016-week-5.html. bhagavath gIthA – SlOkams 36 to 40 added in http://githa.koyil.org/index.php/chapter-1/ based on http://githa.koyil.org/index.php/chapter-1-original/ . dhivya prabandham – Commencement of thiruvAimozhi 2.7 decad – kESavan thamar – http://divyaprabandham.koyil.org/index.php/2016/04/thiruvaimozhi-2-7-kesavan-thamar/ – English translation. Audio available at http://divyaprabandham.koyil.org/index.php/2016/04/thiruvaimozhi-2-7-audio/ . Full series can be viewed at http://divyaprabandham.koyil.org/index.php/thiruvaimozhi/ . SrIperumbUthUr – brahmOthsavam day 3 (yesterday) – http://sriperumbuthur.blogspot.com/2016/04/april-2016-week-5.html. SrIvaikuNta gadhyam 5th chUrNai – http://divyaprabandham.koyil.org/index.php/2016/04/srivaikunta-gadhyam-5/ – English translation by T N krishNan swamy. Full series available at http://divyaprabandham.koyil.org/index.php/2016/03/srivaikunta-gadhyam/. rAmAnusa nURRanthAdhi pAsuram 21 – http://divyaprabandham.koyil.org/index.php/2016/04/ramanusa-nurranthadhi-21/ – English translation by raghurAm swamy. Full series can be viewed at http://divyaprabandham.koyil.org/index.php/2015/07/ramanusa-nurranthadhi/ . SrIperumbUthUr – brahmOthsavam day 2 (yesterday) – http://sriperumbuthur.blogspot.com/2016/04/april-2016-week-4.html. perumAL/emperumAnAr uthsavam Invitation link added in the same site too (See upcoming events section in the side panel). thiruvAimozhi 2.6.11 – kaNNith thaNNanthuzhAy – http://divyaprabandham.koyil.org/index.php/2016/04/thiruvaimozhi-2-6-11-kannith-thannanthuzhay/ – English translation. Full series can be viewed at http://divyaprabandham.koyil.org/index.php/thiruvaimozhi/ . SrIvaikuNta gadhyam 4th chUrNai – http://divyaprabandham.koyil.org/index.php/2016/04/srivaikunta-gadhyam-4/ – English translation by T N krishNan swamy. Full series available at http://divyaprabandham.koyil.org/index.php/2016/03/srivaikunta-gadhyam/. This entry was posted in Uncategorized on April 23, 2016 by Sarathy Thothathri. 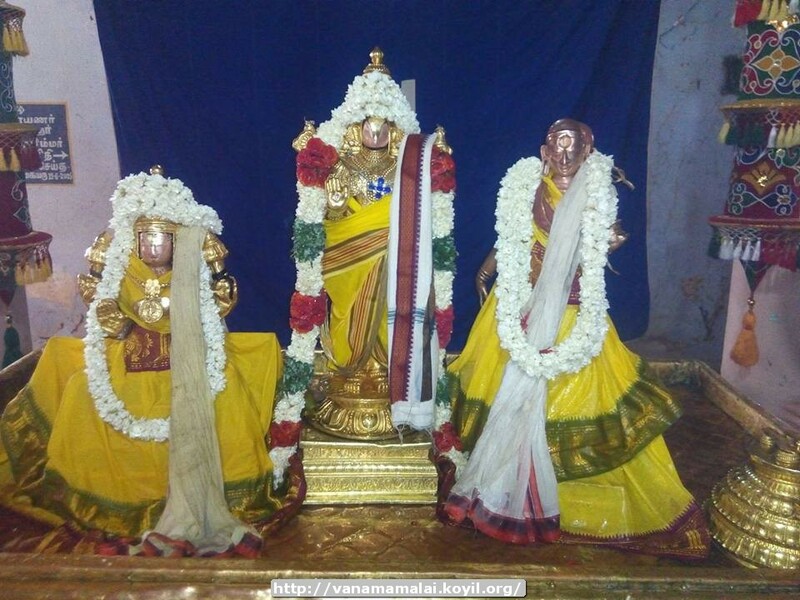 SrIvaishNava granthams – Simple Guide to SrIvaishNavam – guru paramparai – https://srivaishnavagranthamstamil.wordpress.com/2016/04/22/simple-guide-to-srivaishnavam-guru-paramparai/ based on http://ponnadi.blogspot.in/2015/12/simple-guide-to-srivaishnavam-guru-paramparai.html – thamizh translation by sadagopan swamy. Full series can be viewed at https://srivaishnavagranthamstamil.wordpress.com/simple-guide-to-srivaishnavam/. dhivya prabandham – thiruvAimozhi 2.6.10 – pOginRa kAlangaL – http://divyaprabandham.koyil.org/index.php/2016/04/thiruvaimozhi-2-6-10-poginra-kalangal/ – English translation. Full series can be viewed at http://divyaprabandham.koyil.org/index.php/thiruvaimozhi/ . thiruvAimozhi 2.6.9 – endhAy! – http://divyaprabandham.koyil.org/index.php/2016/04/thiruvaimozhi-2-6-9-endhay/ – English translation. Full series can be viewed at http://divyaprabandham.koyil.org/index.php/thiruvaimozhi/ . SrIvaikuNta gadhyam 3rd chUrNai Part 4 – http://divyaprabandham.koyil.org/index.php/2016/04/srivaikunta-gadhyam-3-part-4/ – English translation by T N krishNan swamy. Full series available at http://divyaprabandham.koyil.org/index.php/2016/03/srivaikunta-gadhyam/. dhivya prabandham – thiruvAimozhi 2.6.8 – mARi mARi – http://divyaprabandham.koyil.org/index.php/2016/04/thiruvaimozhi-2-6-8-mari-mari/ – English translation. Full series can be viewed at http://divyaprabandham.koyil.org/index.php/thiruvaimozhi/ . dhivya prabandham – thiruvAimozhi 2.6.7 – mudiyAdhadhu en – http://divyaprabandham.koyil.org/index.php/2016/04/thiruvaimozhi-2-6-7-mudiyadhadhu-en/ – English translation. Full series can be viewed at http://divyaprabandham.koyil.org/index.php/thiruvaimozhi/ . thiruvAimozhi 2.6.6 – unnaich chindhai seydhu – http://divyaprabandham.koyil.org/index.php/2016/04/thiruvaimozhi-2-6-6-unnaich-chindhai/ – English translation. Full series can be viewed at http://divyaprabandham.koyil.org/index.php/thiruvaimozhi/ . SrIvaikuNta gadhyam 3rd chUrNai Part 3 – http://divyaprabandham.koyil.org/index.php/2016/04/srivaikunta-gadhyam-3-part-3/ – English translation by T N krishNan swamy. Full series available at http://divyaprabandham.koyil.org/index.php/2016/03/srivaikunta-gadhyam/. dhivya prabandham – thiruvAimozhi 2.6.5 – uyndhu pOndhu – http://divyaprabandham.koyil.org/index.php/2016/04/thiruvaimozhi-2-6-5-uyndhu-pondhu/ – English translation. Full series can be viewed at http://divyaprabandham.koyil.org/index.php/thiruvaimozhi/ . dhivya prabandham – thiruvAimozhi 2.6.4 – vaLLalE madhusUdhanA – http://divyaprabandham.koyil.org/index.php/2016/04/thiruvaimozhi-2-6-4-vallale-madhusudhana/ – English translation. Full series can be viewed at http://divyaprabandham.koyil.org/index.php/thiruvaimozhi/ . This entry was posted in Uncategorized on April 16, 2016 by Sarathy Thothathri. thiruppAvai – Audio rendering 21st pAsuram to 30th pAsuram available at http://divyaprabandham.koyil.org/index.php/2016/02/thiruppavai-audio/ . Thanks to kArthi ammangar and lakshmi kumAr swamy for uploading the same. SrIvaikuNta gadhyam 3rd chUrNai Part 2 – http://divyaprabandham.koyil.org/index.php/2016/04/srivaikunta-gadhyam-3-part-2/ – English translation by T N krishNan swamy. Full series available at http://divyaprabandham.koyil.org/index.php/2016/03/srivaikunta-gadhyam/. thiruvAimozhi 2.6.3 – thAmaraik kaNNanai – http://divyaprabandham.koyil.org/index.php/2016/04/thiruvaimozhi-2-6-3-thamaraik-kannanai/ – English translation. Full series can be viewed at http://divyaprabandham.koyil.org/index.php/thiruvaimozhi/ . thiruvAimozhi 2.5 – English e-book link available at http://divyaprabandham.koyil.org/index.php/2015/11/thiruvaimozhi-2nd-centum/ and http://divyaprabandham.koyil.org/index.php/e-books/ . Thanks to parAsara (pradeep) swamy for preparing the e-book. SrI rAmAnuja dharsanam – e-magazine – April/panguni – thamizh Issue recently released and can be viewed at http://www.varavaramuni.com/home/sriramanuja-dharsanam-magazine/thamizh . dhivya prabandham – thiruvAimozhi 2.6.2 – sikkenach chiRidhOridamum – http://divyaprabandham.koyil.org/index.php/2016/04/thiruvaimozhi-2-6-2-sikkenach-chridhoridamum/ – English translation. Full series can be viewed at http://divyaprabandham.koyil.org/index.php/thiruvaimozhi/ . dhivya prabandham – SrIvaikuNta gadhyam 3rd chUrNai Part 1 – http://divyaprabandham.koyil.org/index.php/2016/04/srivaikunta-gadhyam-3-part-1/ – English translation by T N krishNan swamy. Full series available at http://divyaprabandham.koyil.org/index.php/2016/03/srivaikunta-gadhyam/. SrIvaishNava granthams – Simple Guide to SrIvaishNavam – AchArya Sishya sambandham – https://srivaishnavagranthamstamil.wordpress.com/2016/04/12/simple-guide-to-srivaishnavam-acharya-sishya/ based on http://ponnadi.blogspot.com/2015/12/simple-guide-to-srivaishnavam-acharya-sishya.html – thamizh translation by sadagopan swamy. Full series can be viewed at https://srivaishnavagranthamstamil.wordpress.com/simple-guide-to-srivaishnavam/. dhivya prabandham – SrIvaikuNta gadhyam 2nd chUrNai Part 3 – http://divyaprabandham.koyil.org/index.php/2016/04/srivaikunta-gadhyam-1-part-3/ – English translation by T N krishNan swamy. Full series available at http://divyaprabandham.koyil.org/index.php/2016/03/srivaikunta-gadhyam/. SrIvaishNava granthams – Simple Guide to SrIvaishNavam – pancha samskAram – https://srivaishnavagranthamstamil.wordpress.com/2016/04/09/simple-guide-to-srivaishnavam-pancha-samskaram/ based on http://ponnadi.blogspot.com/2015/12/simple-guide-to-srivaishnavam-pancha-samskaram.html – thamizh translation by sadagopan swamy. Full series can be viewed at https://srivaishnavagranthamstamil.wordpress.com/simple-guide-to-srivaishnavam/. This entry was posted in Uncategorized on April 9, 2016 by Sarathy Thothathri. SrI rAmAnuja dharsanam – e-magazine – April/panguni – English Issue recently released and can be viewed at http://www.varavaramuni.com/home/sriramanuja-dharsanam-magazine/english . guru paramparai – https://srivaishnavagranthamshindi.wordpress.com/2016/04/08/simple-guide-to-srivaishnavam-guru-paramparai/ based on http://ponnadi.blogspot.in/2015/12/simple-guide-to-srivaishnavam-guru-paramparai.html – Hindi translation by bhagavathi ammangar. Full series can be viewed at https://srivaishnavagranthamshindi.wordpress.com/simple-guide-to-srivaishnavam/ . Introduction – https://srivaishnavagranthamstamil.wordpress.com/2016/04/08/simple-guide-to-srivaishnavam-introduction/ based on http://ponnadi.blogspot.in/2015/12/simple-guide-to-srivaishnavam-introduction.html – thamizh translation by sadagopan swamy. Full series can be viewed at https://srivaishnavagranthamstamil.wordpress.com/simple-guide-to-srivaishnavam/. dhivya prabandham – SrIvaikuNta gadhyam 1st chUrNai Part 3 – http://divyaprabandham.koyil.org/index.php/2016/04/srivaikunta-gadhyam-1-part-3/ – English translation by T N krishNan swamy. Full series available at http://divyaprabandham.koyil.org/index.php/2016/03/srivaikunta-gadhyam/. dhivya prabandham – yathirAja vimSathi (hindi) translation – 1st eight SlOkams translation uploaded at http://divyaprabandham.koyil.org/index.php/2016/03/yathiraja-vimsathi-hindi/ . Previously published in SrIrAmAnuja dharSanam magazine (http://www.varavaramuni.com/home/sriramanuja-dharsanam-magazine) – Thanks to lakshminarasimhan swamy for uploading the same. This entry was posted in Uncategorized on April 8, 2016 by Sarathy Thothathri.